It was a night to celebrate the future of fashion. It’s that time of the year when Manila’s most stylish gather to celebrate the chosen few who made it to the annual Best Dressed List. 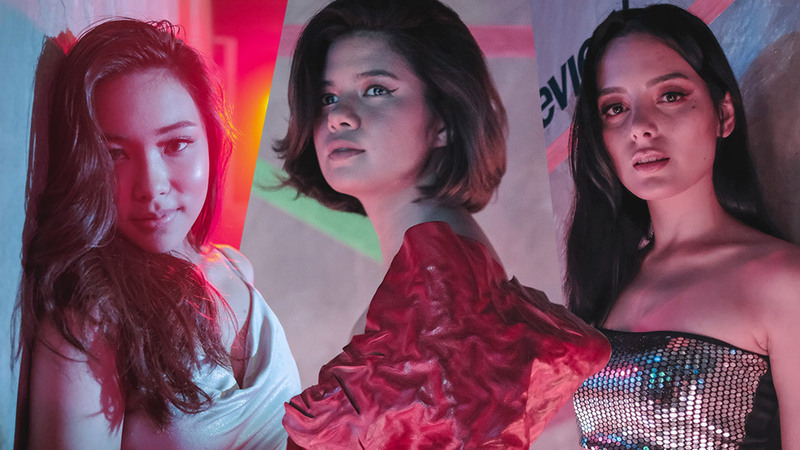 Dress Like It’s 2028 was the prevailing theme for this year’s Preview Best Dressed Ball, and guests arrived at the venue wearing all sorts of futuristic trends that ranged from glitterati glam to dystopic pleather. Pairing a slinky dress with undone waves, Kim Cruz looks every bit the sultry siren in this photo. And it won't take a whole lot of effort for you to get there, either: Spray a texturizing hairspray all over your tresses and braid your hair into a loose plait. Wait an hour or so before releasing the braid to finish your style with a few more spritzes of hairspray to hold your hair in place. If you’re the type to experiment on a statement headpiece like Jaz, sleek straight hair is essential to complete the look. Flatten out the top section of your hair with a straightening iron and seal in the style with a bit of shine serum. Chin Chin pairs an office-appropriate blazer with party-ready curls to keep her look fun and youthful. Cop the look by wrapping one-inch sections of your hair around a curling iron. After curling, finish off the style with some hairspray and shake out your curls using your hands for more volume. Yanna pairs her skintight look with a voluminous, beachy bob that played up her natural texture. If you have naturally wavy hair, just apply a little sea salt spray on your mane and finger-comb it until it dries. Margo Midwinter offsets her glitzy crop top with her naturally straight hair. Use anti-frizz products to smoothen hair for a simple yet gorgeous look. Why have just a good hair day when you can have an ultimately beautiful hair day? Use Cream Silk's Triple Keratin Rescue conditioner, which has the keratin your need to help tame rebellious frizz, revive hair health, and restore the hair’s natural shine. Choose between the Ultimate Straight conditioner for frizz-prone hair, or the Ultimate Repair for dull and damaged tresses. Visit Cream Silk's Lazada page to order the Triple Keratin Conditioner online. For more information, visit Cream Silk’s website or Facebook page.